Very rarely can I perform a whispery feather swirl as delicate as this one! 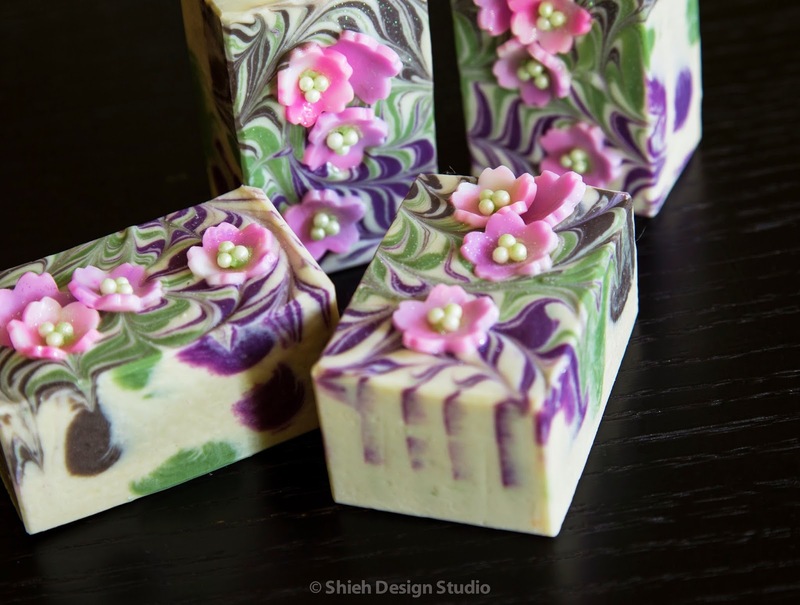 This is Ume Blossom Soap, Ume means plum in Japanese, it's the first bloom of the spring followed by Cherry blossom. 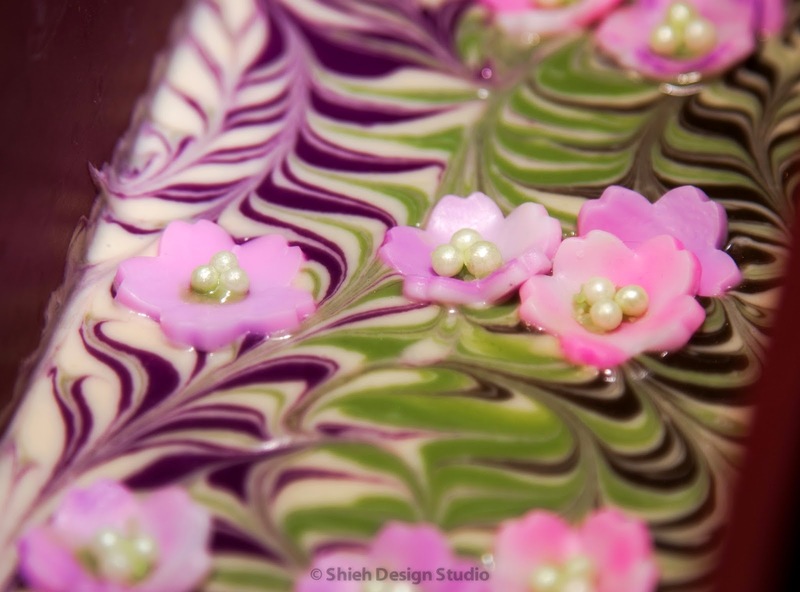 I used a small cookie cutter to make these tiny flower using melt and pour soap base ahead of time then "glued" some sugar pearls with cold process soap in the center of each blossom. It is time consuming and detail oriented but it's worth the effort, don't you think? 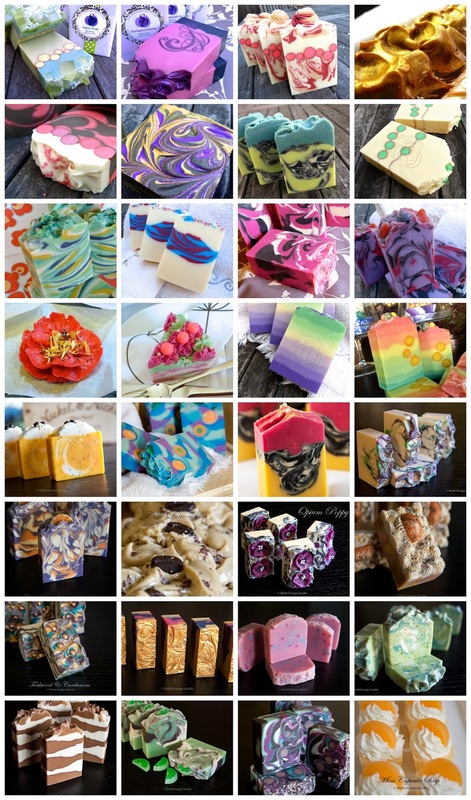 What do you do with the little left over from every fragrance after you are done soaping it? For some reason I just can't use up exactly what I purchased! So what do you do with a little left over here and there?! It's not enough to make even a smallest batch but enough to make me feel bad by throwing it in the trash. 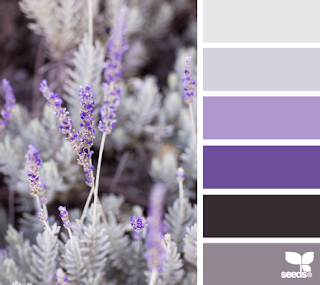 I gathered a few left over lavender fragrances from different suppliers and thought maybe I should just mix them all together! Different suppliers have their own interpretation of what lavender should smell like, some more herbal, some more floral, some with other notes. To add another layer of depth, I added some Egyptian Musk which is way too light by itself. 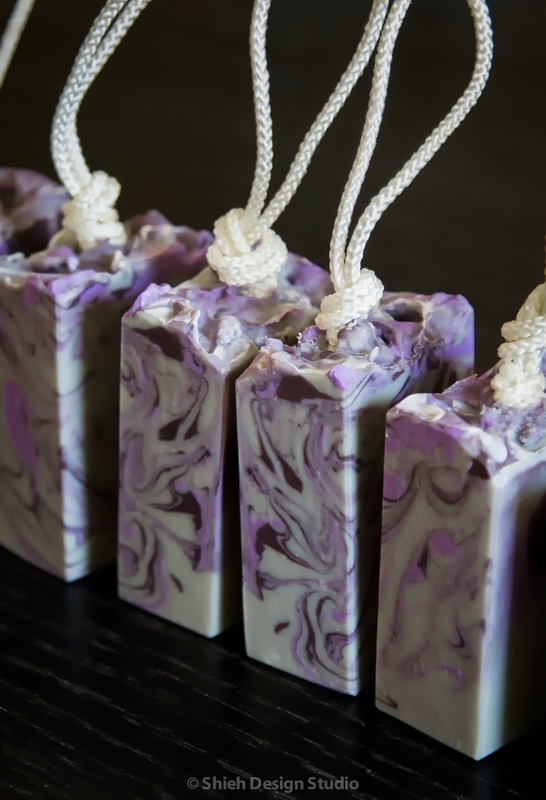 Just thought I should make rope soap again, it has been awhile since my last one. I rather prefer soap on a rope because you can wear it around your wrist to prevent slippery and dropping it in the shower, then hang it to dry much faster. 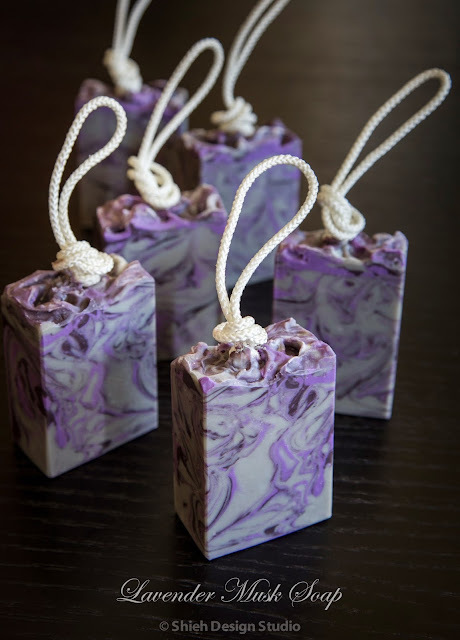 But why don't I make every soap on the rope? 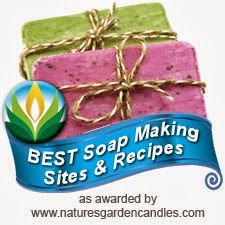 Because it's more preparation work and I have to sacrifice fancy soap top. I usually use artificial colorants for my soap because I can achieve so much more design wise with the vibrant colors synthetic micas can offer. 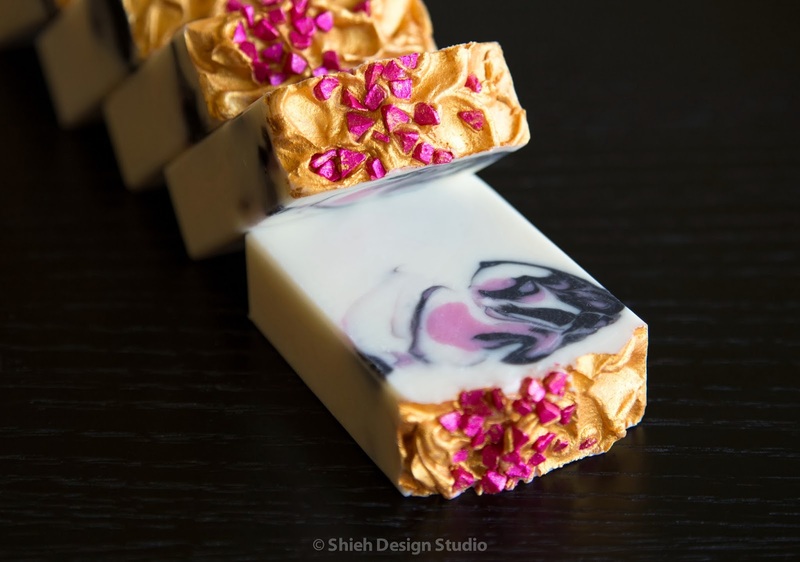 I'm not opposed to using natural colorants but the problem is they tend to fade in time. 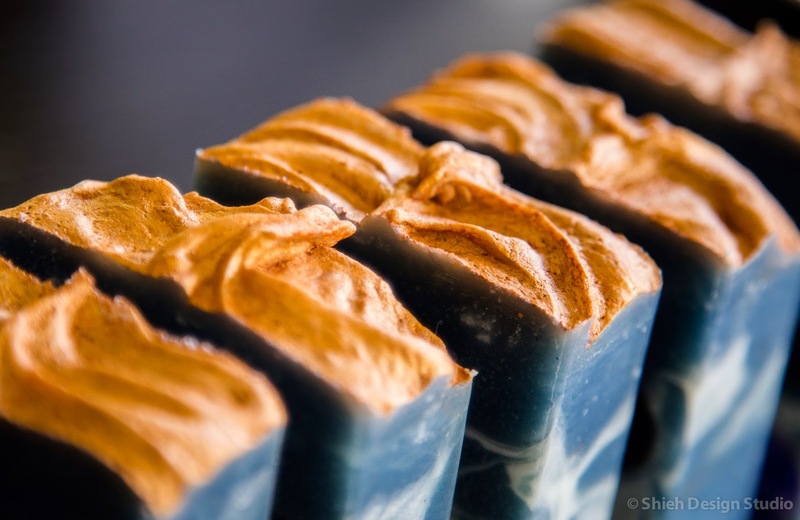 It's fairly easy to find natural colorants for the color of red, yellow and green, but it's hard to get a good blue. 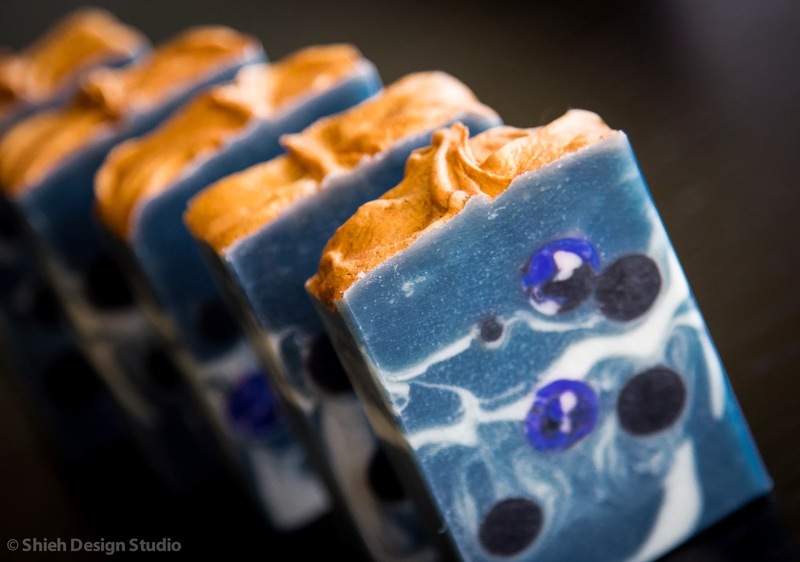 Indigo has long been used in Asia as a natural blue dye, it produces an earthy muted blue instead of vibrant eye catching blue. It's more like a pair of stone washed dark blue jeans. 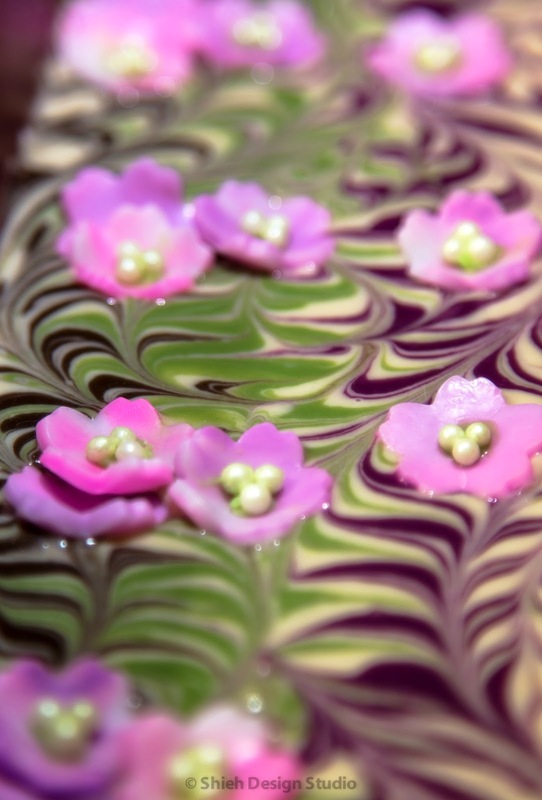 This is my first soap of the year 2014, after not soaping for more than a month. I thought, why not start with something new too?! The Indigo I got is not the typical powder form, it has been pre-treated with lye water then dehydrated to crystals. 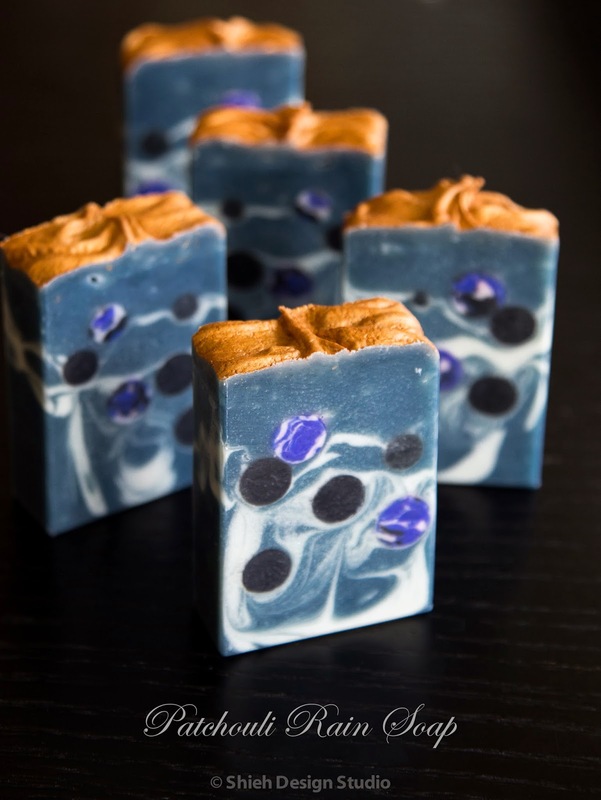 Typically if you get Indigo powder you have to infuse it in oil and strain it out to prevent speckles, or if you like the speckle look add directly into soap. 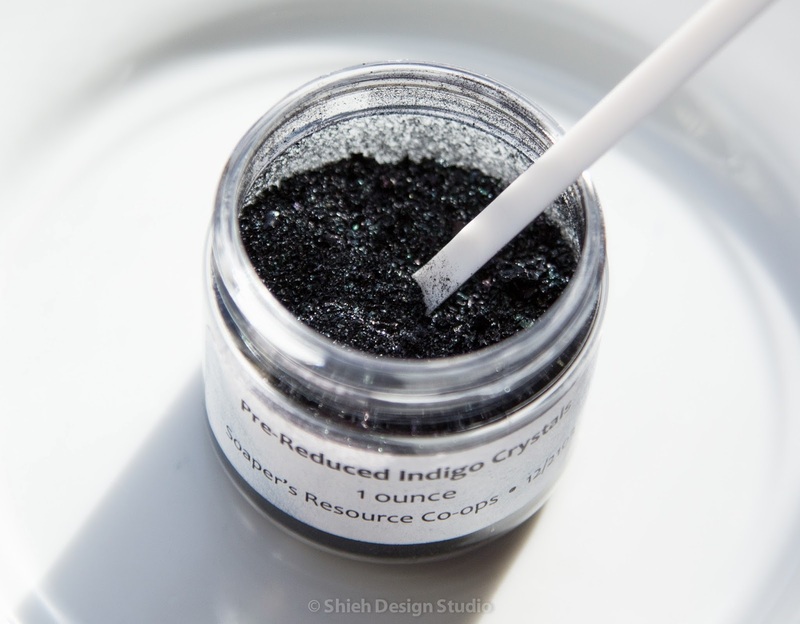 Pre-reduced Indigo crystal is more concentrated than Indigo powder. It had been reacted with lye water already, meaning what you see is what you get after adding it to soap batter. All you need to do is dissolve it in a little water then add it to the batter. I have to say it is very potent. I only used a pinch and after forcing gel, it is as dark as my jeans! I know it's a bit early but can you tell I want Spring to be here already?! When you think of spring the first flower that blooms is probably plum blossom then closely followed by cherry blossom. 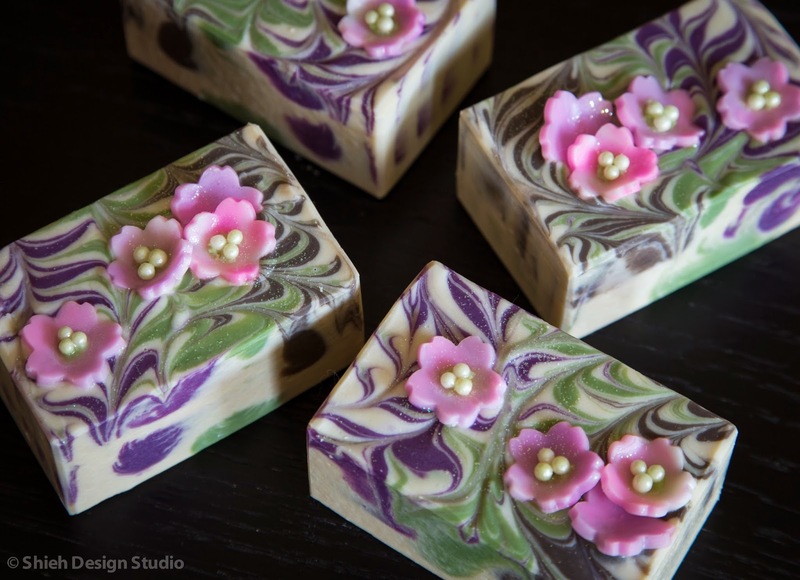 This year's cherry blossom soap is inspired by the uchikake kimono which is a formal kimono wore by a bride. If you google uchikake kimono images you will see loads of jaw dropping photos. 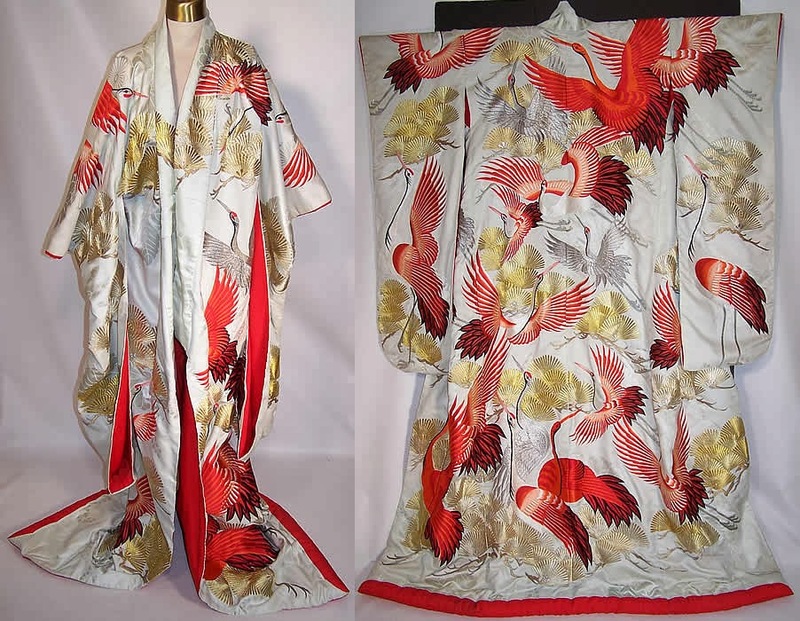 Most of the uchikake kimono are made with contrasting colors of red, gold, black, and white and each can easily cost more than $10,000! 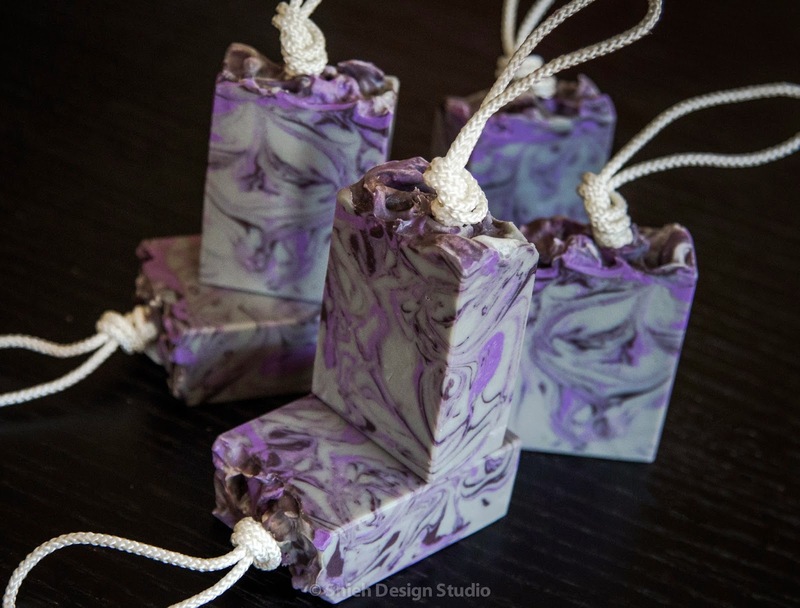 Alright, back to soap business, I wanted a more elegant subtle look instead of look at me bold statement all over. 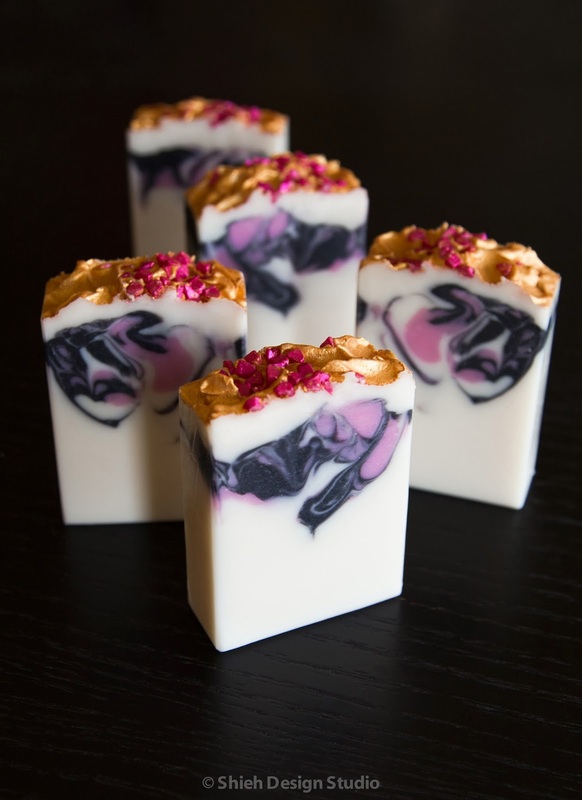 I decided to make a majority white base with soft pink and black swirl in side then spice it up with bold shinny gold mica and hot pink soap bits. 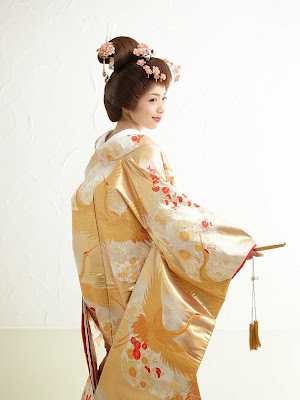 Aren't these uchikake kimono pretty?! I wish I have the money to own one, like an art piece! I made a photo collage of some soap projects I did in 2013, enjoy!